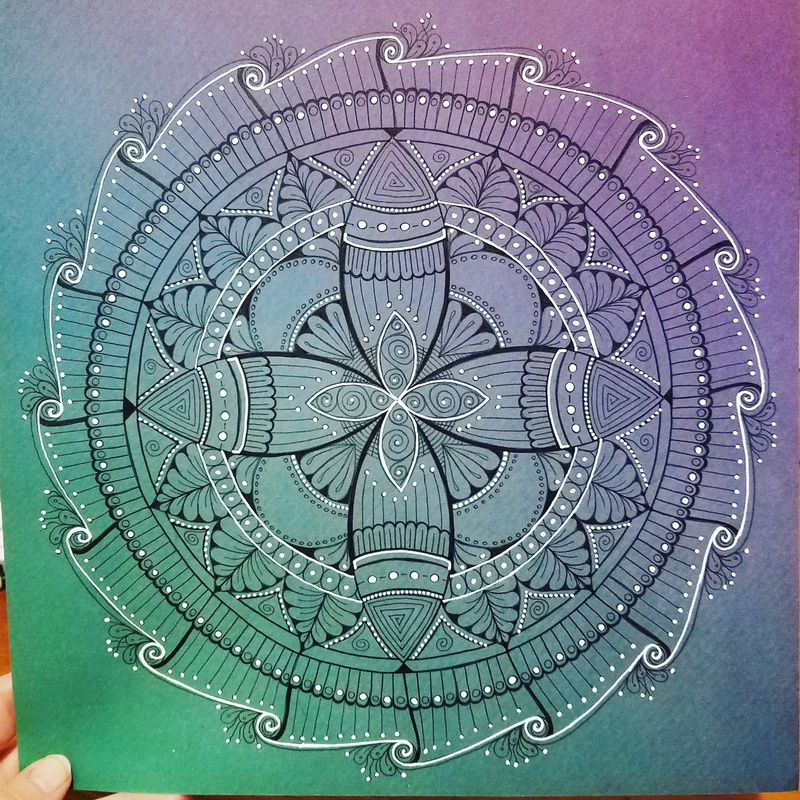 So, the fifth and final mandala in this series. Good Lord am I tired. I guess I never really understood what all went into actually making a full collection. However, I am very happy I completed this one. If you want to see the progression video for this one, you can find it here, on my YouTube channel. I am going to get this collection scanned in and prints ready for sale. If you are interested in this set or one in this set, please let me know. I plan on making them available in 12×12 and 8×8. As always, I would love to know your comments, questions and criticism on this project in the comments below! If you would rather send me an email, don’t hesitate at craftyartistkc@gmail.com.